The Elara theme contains three widgets areas that can be displayed on the front page. You can choose to put in any of the built-in or custom widgets to these areas, and the appropriate boxes will appear below the blog feed or after page content, depending on the Static Page settings. 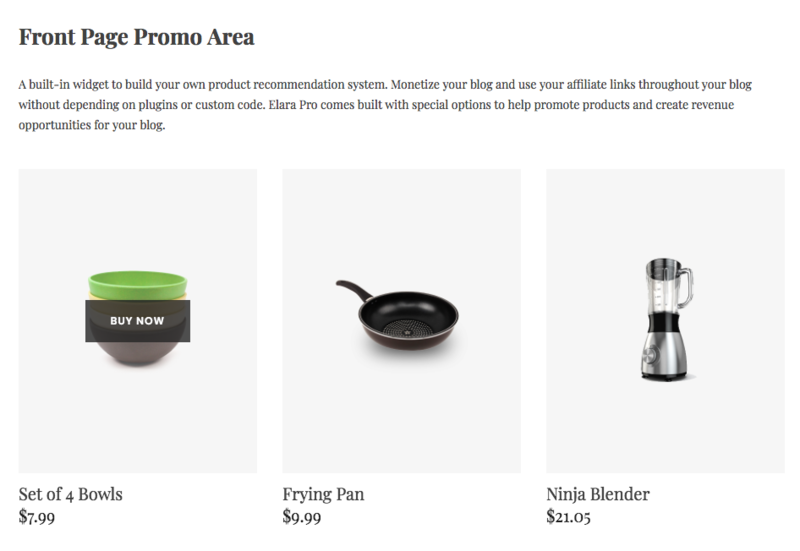 There is a special Promo area on the front page, which automatically renders Promo Box widgets in a carousel layout that showcases all of your best featured products. 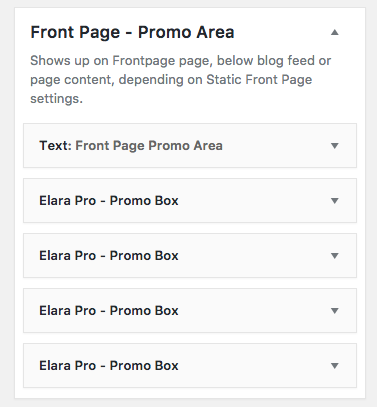 To set up a Promo area, insert a text box and your chosen amount of Promo Boxes. We're using a Text Widget for this area in our demo. 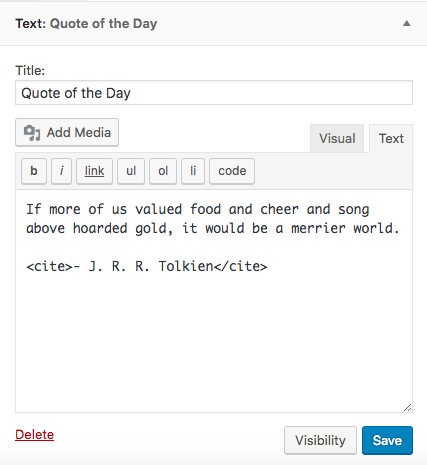 In the widget settings, there is a WYSIWYG text editor in which you can put in some text; we've added a quote and the author name. In order for the author's name to render using some special formatting, enter the Text mode of the editor and wrap the name in <cite></cite> tags. In our demo, we're using the Instagram widget in this area. 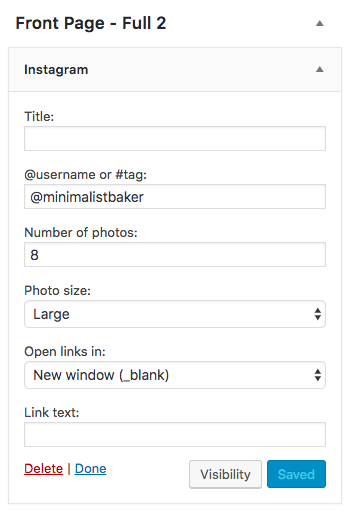 You can fetch Instagram posts from a specific account, or from a hashtag. The widget can have a title on top, which you can set up in the Widget settings. You can choose any number of photos per page. There are four image sizes to choose from: Thumbnail, Small, Large and Original. You can choose to open links to Instagram in a new tab or in the same one.